KENDALLVILLE, Ind. 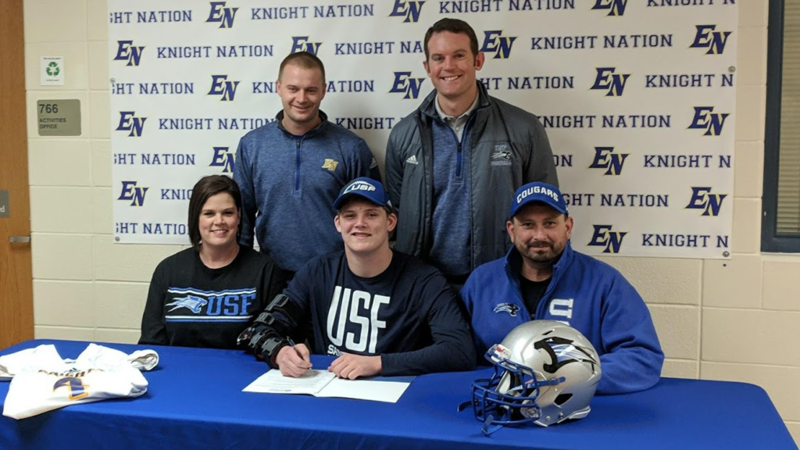 - East Noble football player Spencer Pattee put pen to paper Wednesday, signing with the University of Saint Francis. This past season, Pattee notched 47 tackles and 4 sacks for the Knights, who clinched back-to-back Northeast 8 Conference championships. Individually, he garnered 1st team All-NE8 honors. He will joins perennial NAIA power house, USF, which repeated as national championships in 2016 and 2017. He plans to study graphic and digital design at Saint Francis. East Noble is one of 25 local high schools that partners with Parkview Sports Medicine for athletic training, nutrition, athletic rehabilitation and orthopedic services for Panther athletes.